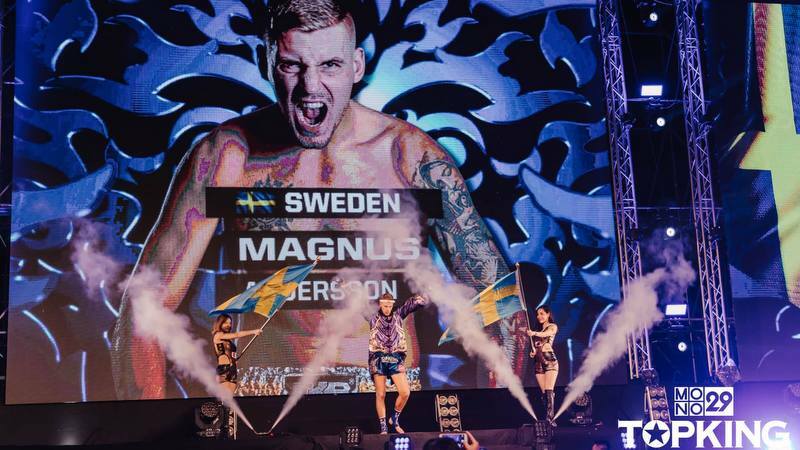 The ‘Crazy Viking’ invades Las Vegas on Saturday, March 30 as he takes on US-based Brazilian fighter, Washington Luiz, in a co-main event ‘superfight’ at Lion Fight 53. Lion Fight Promotions was founded in 2010 and stands as North America’s premier Muay Thai organisation, successfully spreading the dynamic sport around the US and having it televised to a global audience through CBS Sports and AXS TV. The growth of the sport’s global popularity has accelerated since the rise of the UFC and MMA as Muay Thai and Brazilian Jiu Jitsu are the two fundamental disciplines in MMA, together covering more or less every aspect of unarmed combat. Andersson signs a four-fight, 18-month contract with Lion Fight that will see him fighting on global stages between now and late 2020. Andersson started learning Muay Thai ten years ago, age 15, in Halmstad, Sweden. He felt he needed to learn to fight after a school playground beating left him wanting never to feel like he couldn’t defend himself again. He joined his local Muay Thai club along with five friends. The friends dropped out one-by-one but for Magnus the value of what he was attaining was too good to walk away from. Three years later, the teenager took on his first amateur fight and won. “That night, I felt something new, something I hadn’t felt before. To stand face-to-face with another man and have to determine who is tougher in front of a large crowd created a feeling inside me that I became instantly addicted to,” he said with conviction. Andersson won 13 fights in a row on his way to becoming Swedish and Nordic Champion. His first opportunity to visit Thailand came about for the IFMA World Championships in Bangkok. IFMA (International Federation of Muaythai Amateur) is the governing body of amateur Muay Thai consisting of 130 member countries worldwide. 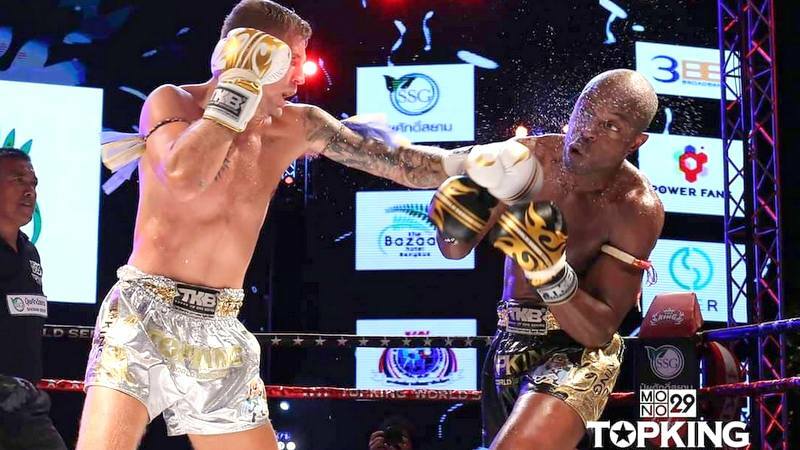 Andersson took the sliver medal at the championships and won numerous other prestigious medals before moving to Phuket in November 2016 to embark upon a fighter’s life. 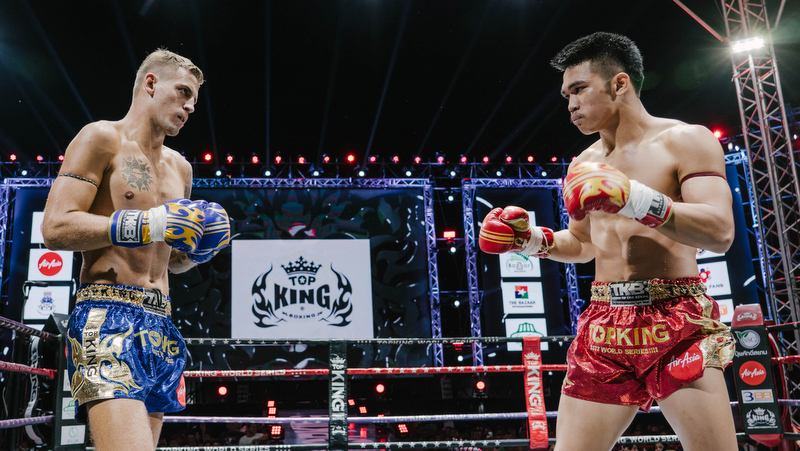 For the past two and a half years, Andersson has trained relentlessly at the highly respected Sitsongpeenong gym where he flies the flag as a sponsored fighter. At 25, he holds a record of 50 fights with 37 wins (11 by KO), 20 of which have been in Thailand where Andersson has been fighting at a very high level since moving to the country. He has since fought in various countries around the globe including Canada, China, Russia, Croatia and Czech Republic. In 2017 he competed on Thailand’s televised MX MUAY XTREME along with some of the country’s best fighters. After beating several top class fighters, including a Lumphini Stadium champion (the most prestigious title in the sport), he became champion of the 70kg division– a title he still holds today. In 2018 he was invited back to the promotion for an event that pit champions against champions, and again he came out victorious against the then 67kg MX champion. In the same year, Andersson was a regular fixture on the televised Top King World Series which also attracts Thailand’s top fighters. 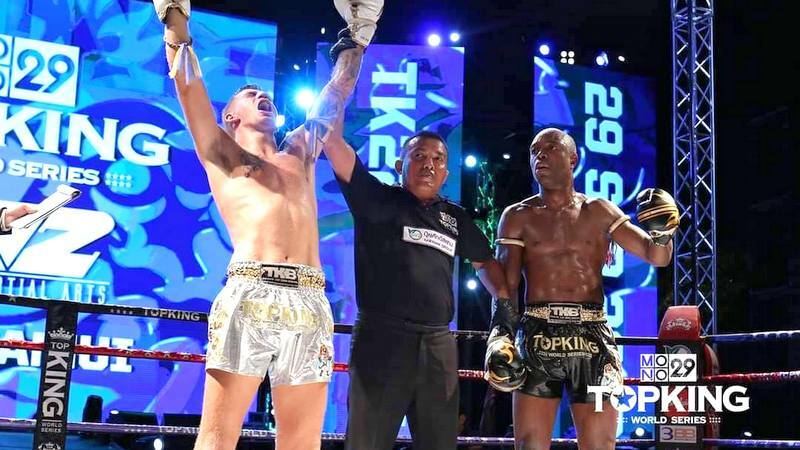 Several memorable victories earned him a title shot in which he narrowly lost out to Isan’s Chujaroen Dabransarakham, a highly regarded Lumphini Stadium champion, in a fiercely fought battle that went to the judges for a decision. Andersson’s relentless, front-footed brawling style, as well as his eccentric personality in and out of the ring, have earned him vast popularity in Thailand. “But most foreign fighters don’t fight for money. We fight for the love of Muay Thai. To be motivated by passion rather than money creates a unique drive which is why we see many great foreign fighters,” Andersson attested. Andersson’s life as a fighter leaves much to be desired for many of us with ‘normal’ lives. Six days a week he wakes up before sunrise at 6am and embarks on either a hill run, a flat run, stair runs or sprints in the local area. The run ends at the gym at just after 7am where he starts to shadow box before working the bag and pads with his trainer. Depending on the day, he practices a combination of boxing, clinching (close-contact stand-up grappling with knee and elbow strikes and takedowns), sparring and conditioning. Two-and-a-half hours later the morning session ends, giving him enough time to eat and rest before the second run begins at 3:30pm and he does it all again. In addition to the 12 gruelling sessions per week (two per day, Monday-Saturday), he does three additional strength and conditioning sessions as in most sports, strength can be the difference between a win and a loss. So is this your training routine in preparation for a fight? I asked. “My coach, Tim, owner of Sitsongpeenong Phuket, analyses my opponent and formulates a game plan which my trainer, Ghi, a former world and Lumphini champion who is a national treasure, helps me to execute. Recently, Andersson has made some significant adjustments to his diet and training. The addition of a strength and conditioning coach in Synergy_AF’s Justin Wallace, as well as a nutrition sponsorship by local restaurant, Bistro Bang Tao, providing all of the fighter’s meals, have helped him break new ground, as for the first time in his career his weight management is such that it dispels the need to cut large amounts of weight before a fight. “I used to walk around at 78/79kg whilst training six days a week and would have to diet down to 74/75kg before dehydrating down to 70kg the day before a fight. “Such regular weight cuts inevitably had a negative impact on my strength. But since following a clean diet through my nutrition sponsor and maintaining a regular strength and conditioning program, I now walk around at 74/75kg leaving only a small water cut before the weigh-in which I then have more than 24 hours to recover from before the fight,” Andersson explained. The dangers of weight-cuts are often witnessed and governing bodies of combat sports have long mulled over how to prevent casualties by changing the process in which fighters are selected and weighed. Hospital trips and deaths are not uncommon among fighters due to dehydration. “A previous girlfriend of mine passed out three times during a weight cut,” Andersson said. Following the Las Vegas superfight, Andersson will spend the following few weeks holding seminars around the states before flying to Sweden for the first time in a year to hold more seminars and catch up with family. Then he’s back home to Phuket and back to the 6am grind. So what’s the pinnacle for someone who achieves most of what he sets out to? “First of all, I’m coming for the Lion Fight 160lbs belt. After that, my main goal is to win the WBC Muay Thai world title,” he says. 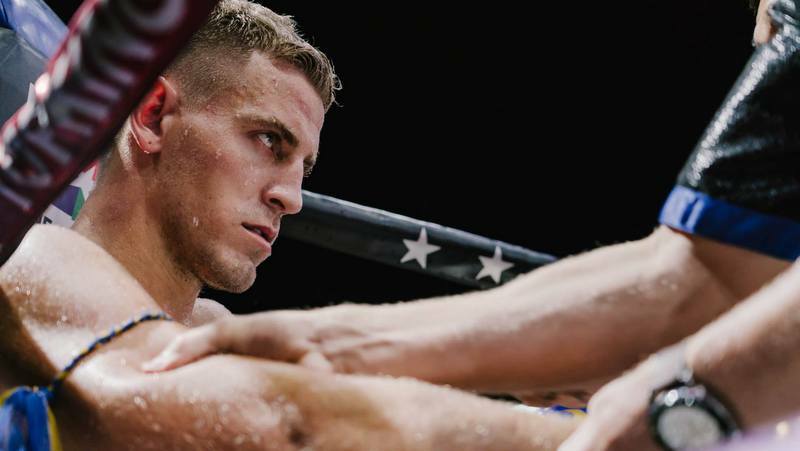 The fighter, who floats in and out of the top ten WBC world rankings, expects that it will take around two years to move up to a position that will earn him a title shot. WBC world champion by 27 wouldn’t be too shabby.